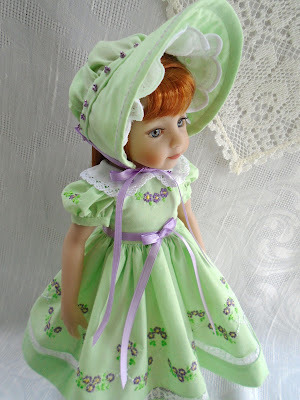 I am really ready for the warm and sunny spring weather! 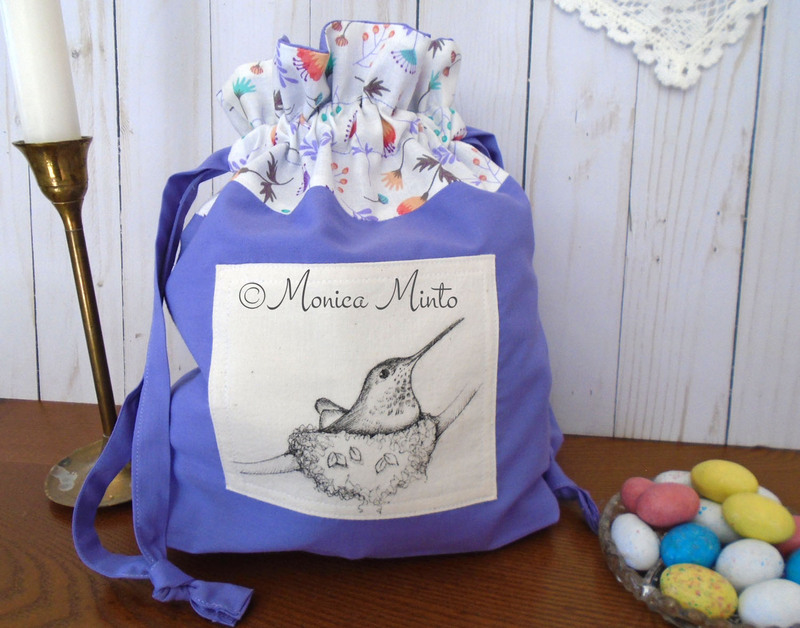 So to celebrate this time of the year it's been fun to create some bright and cheerful reusable fabric gift bags featuring my original pen and ink drawings. 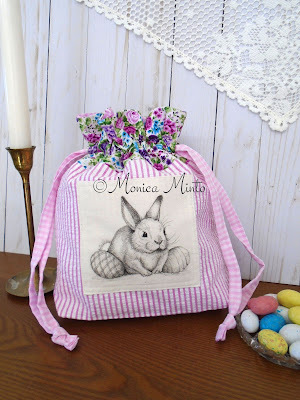 These bags are made using the design and pattern from www.Incolororder.com. This dress is made with the Kathy Harrison 'The Hello Dolly Collection' features lots of handwork also. This is the first dress in a series I have embarked on that feature antique lace. 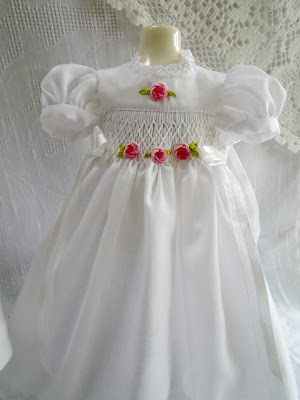 I love the classy ecru on white look and bullion roses of course. 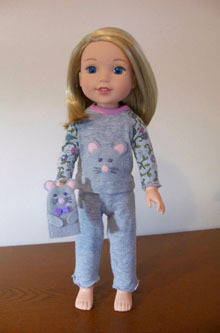 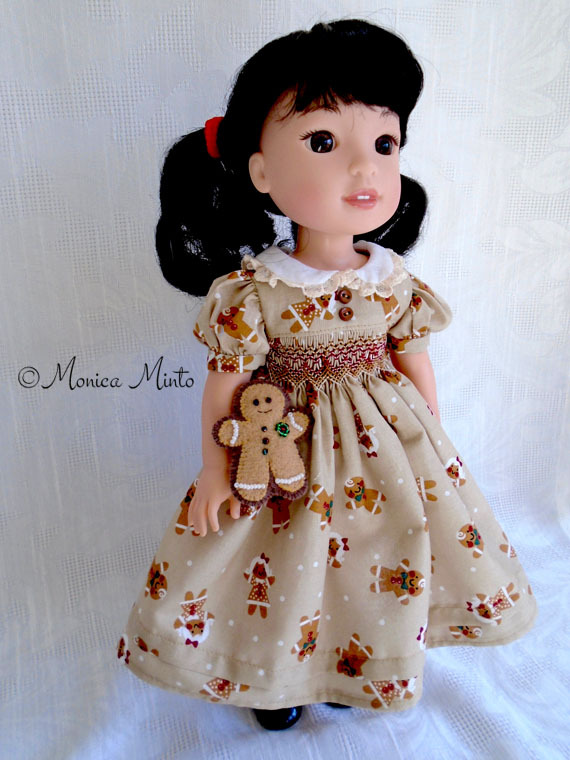 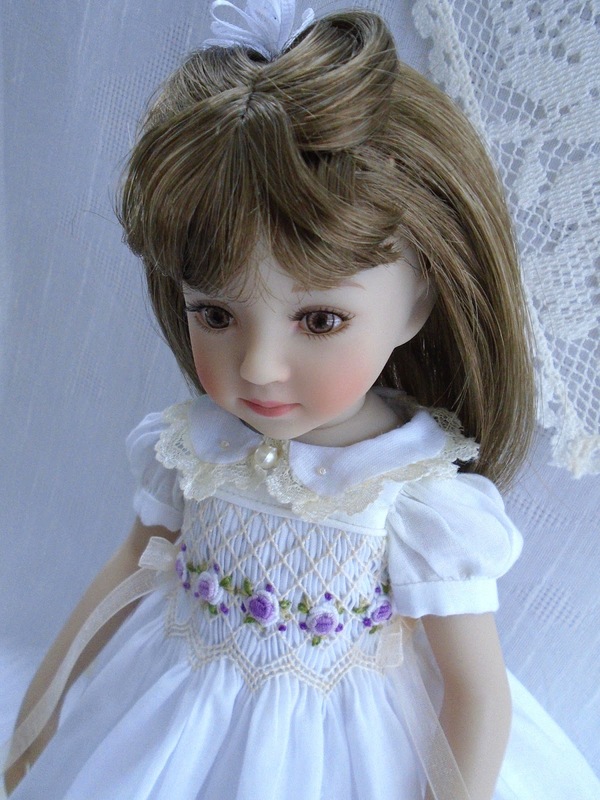 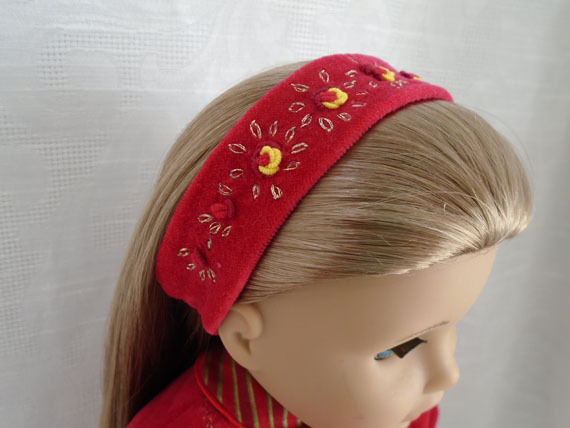 My model is a Mini Maru doll who has very close measurements to the Dianna Effner's Little Darling doll. 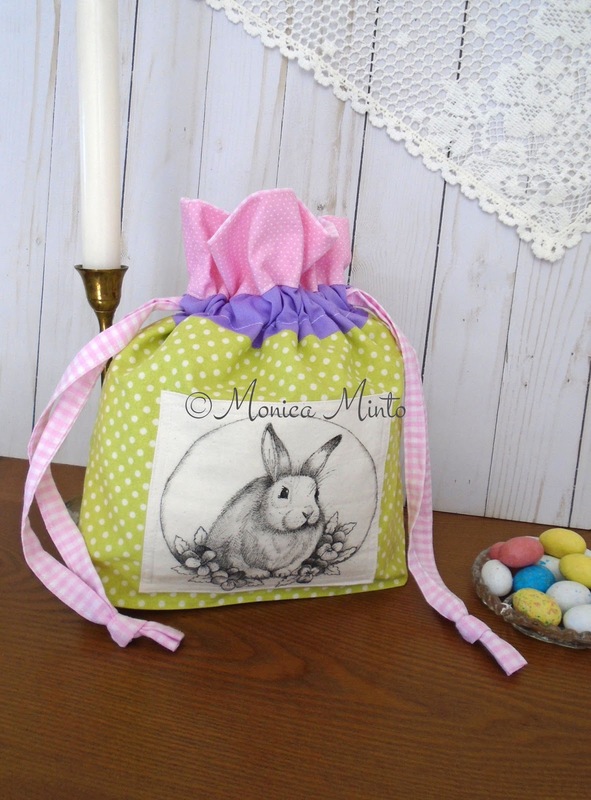 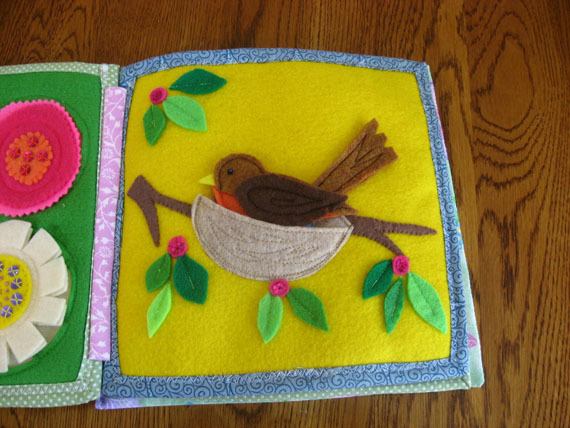 I have used heirloom sewing methods to create a precious collectors item. 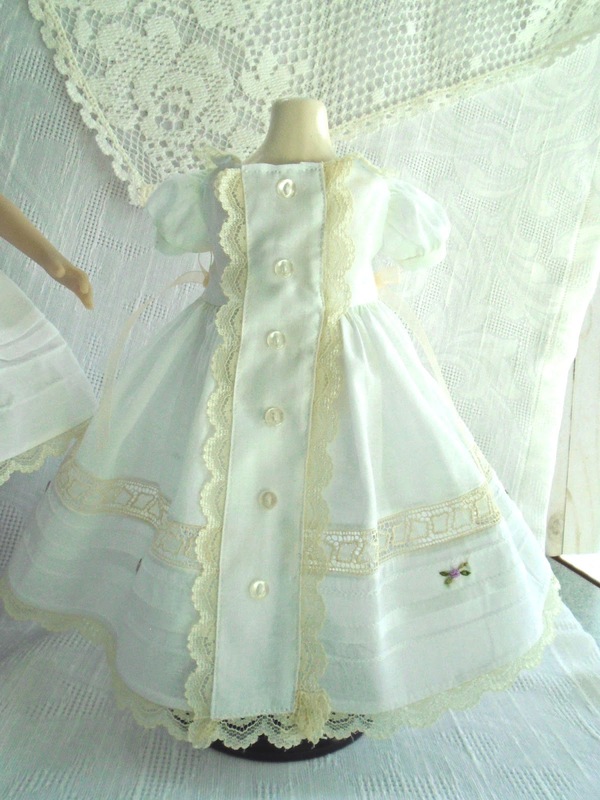 The swiss insertion lace on this dress is a beautiful piece of antique lace. The hem and collar lace is a modern matching lace. 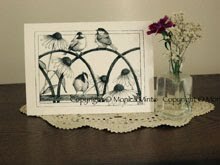 My very sweet husband gifted me with an embroidery program to use with my new Bernini sewing and embroidery machine this past Christmas. 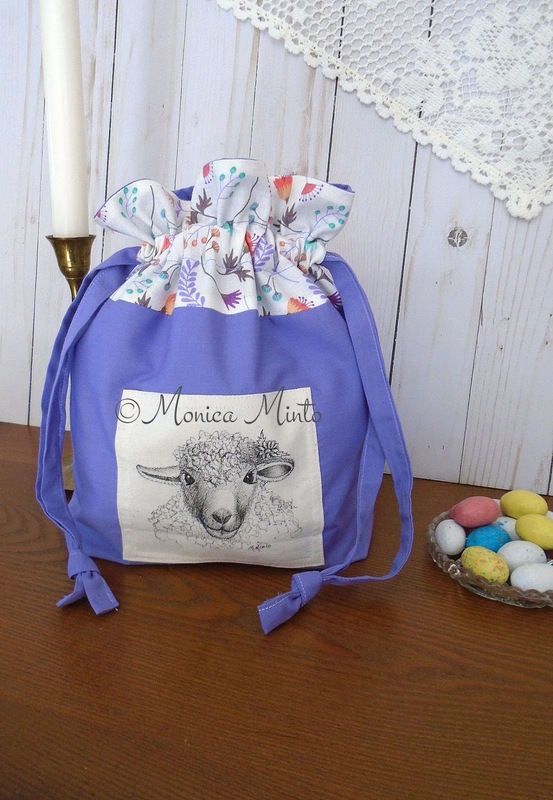 He knows my love of making pretty handcrafted products for my Etsy shop. 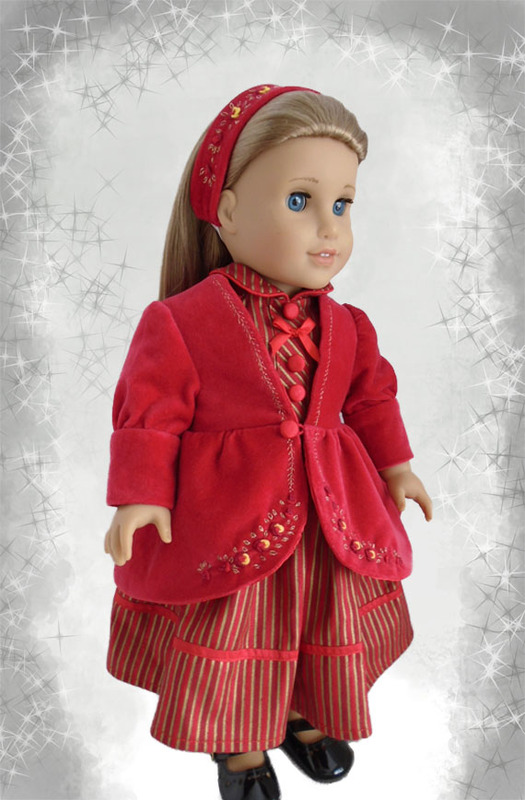 "The Hello Dolly Collection" by Kathy Harrison has everything you need to create pretty machine embroidered heirloom sewn dresses for dolls. 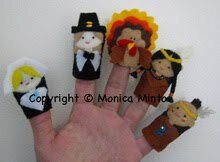 I look forward to many hours of crafting with this great tool . 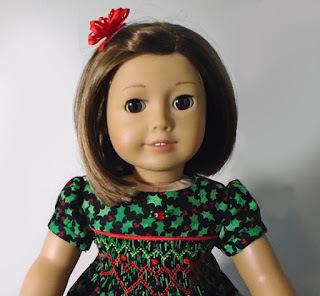 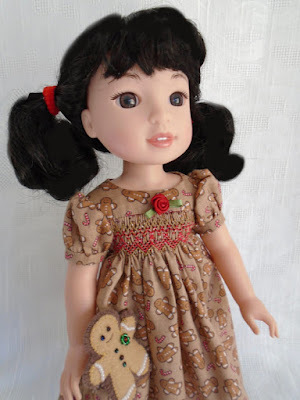 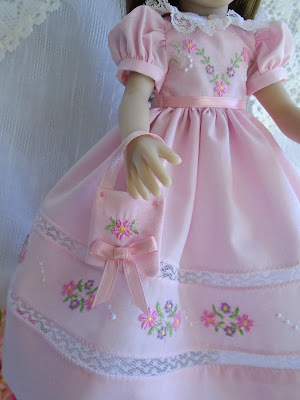 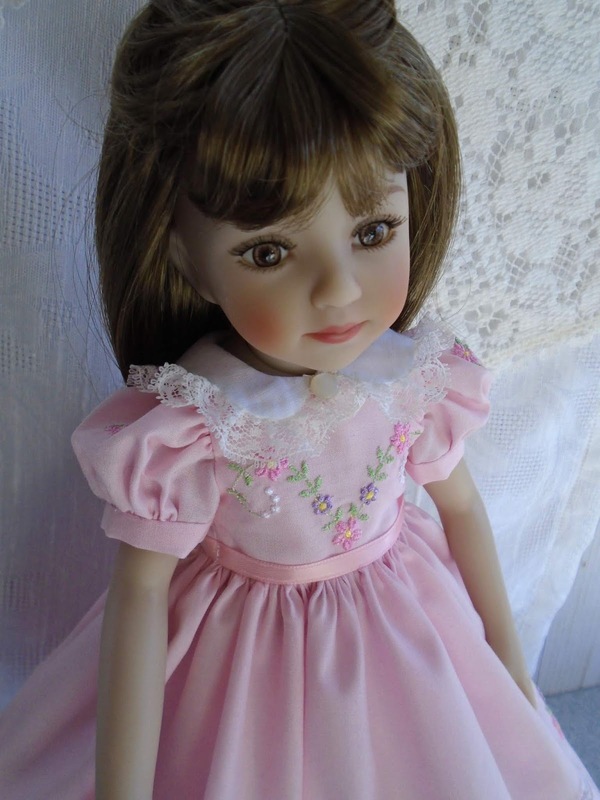 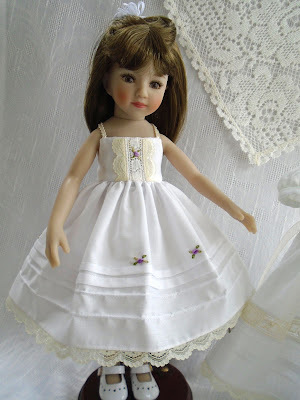 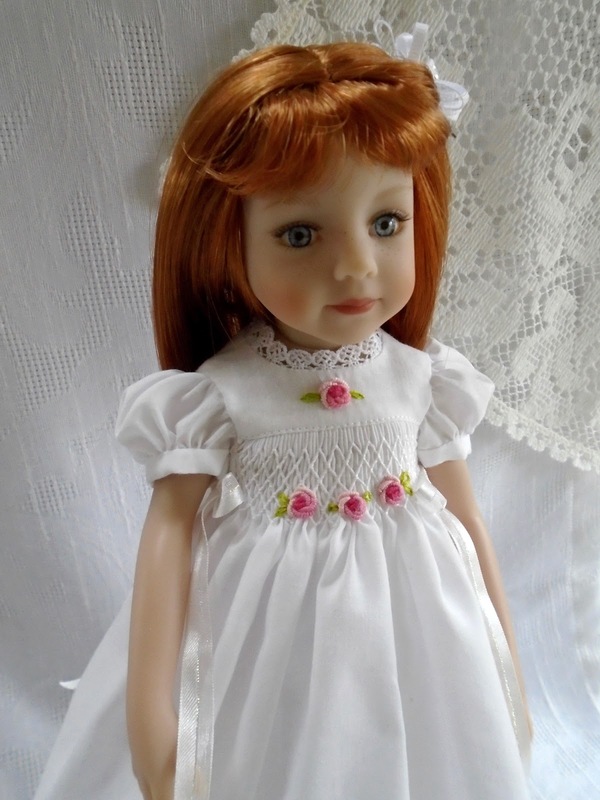 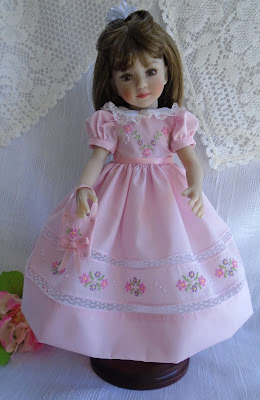 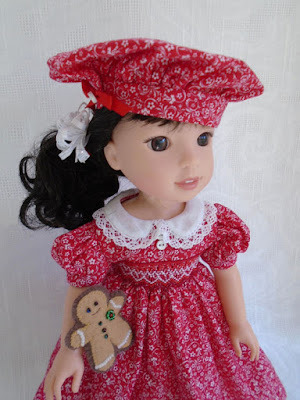 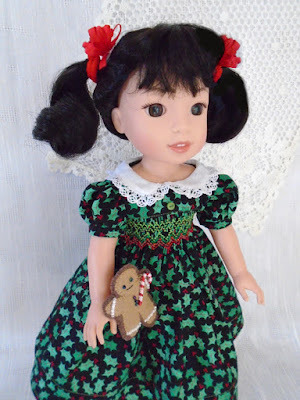 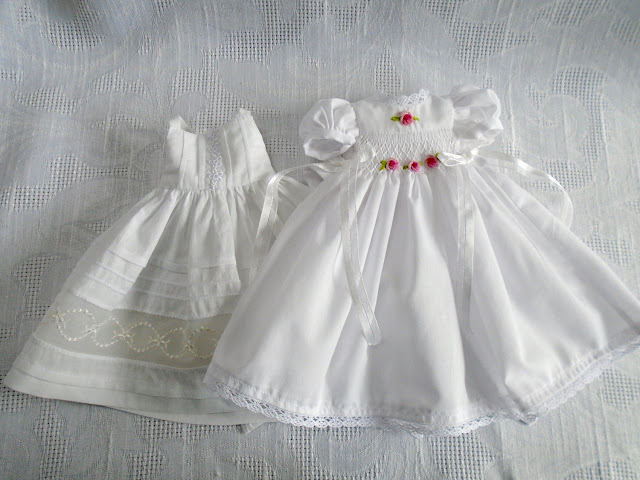 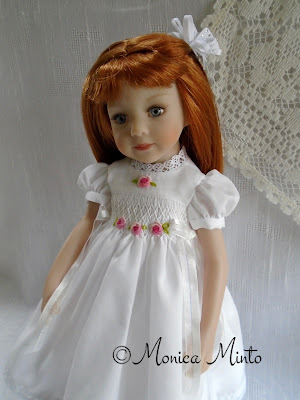 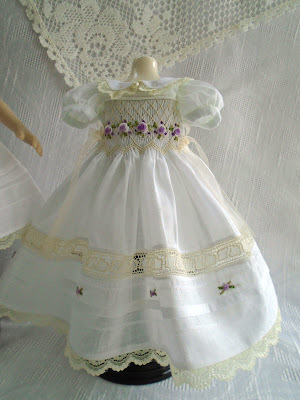 . .
My Mini Maru doll models this embroidered dress, slip and pocketbook set to fit a 13" doll, such as Dianna Effner Little Darling doll. All dressed up for the holidays! 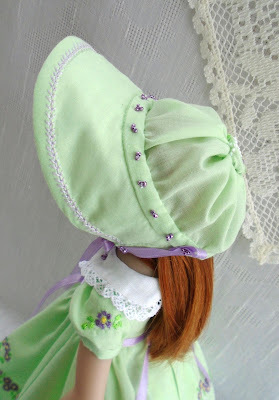 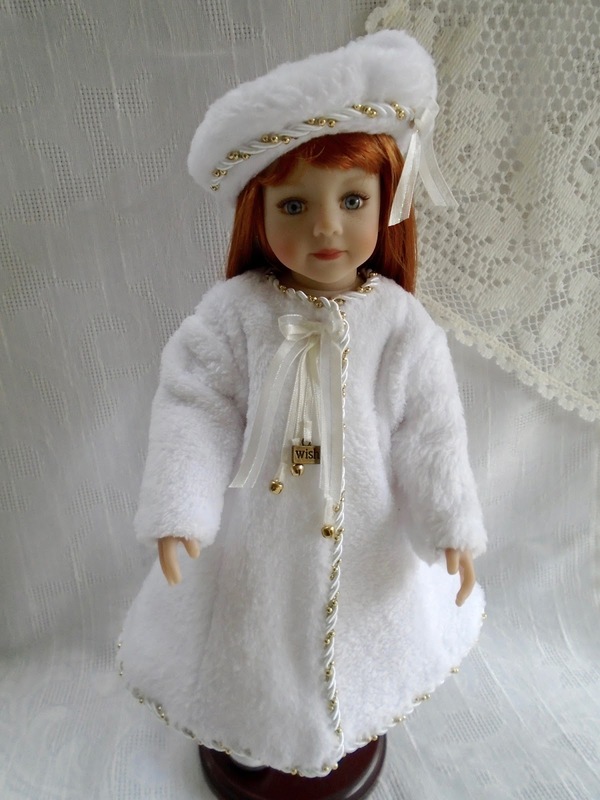 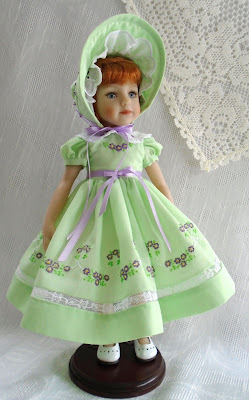 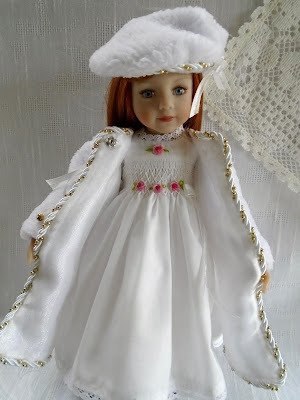 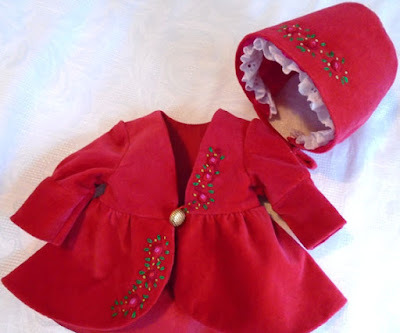 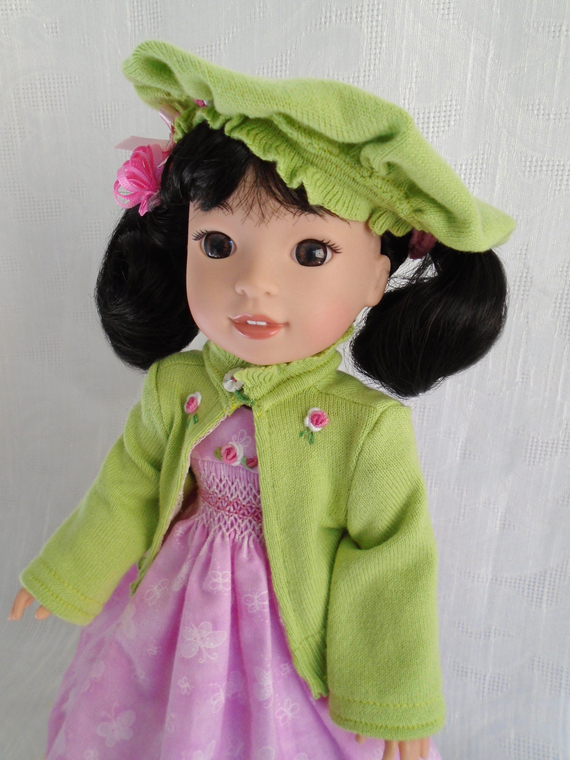 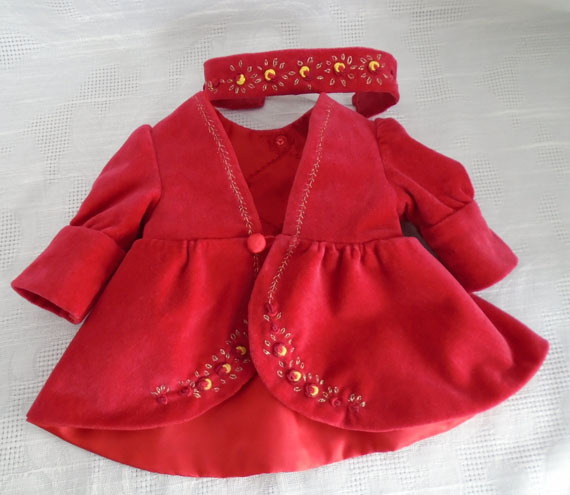 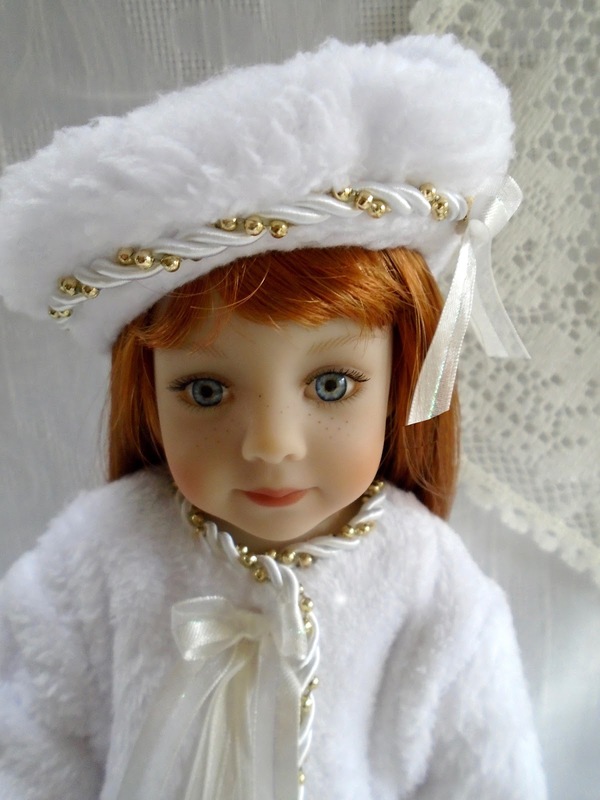 13 inch doll such as Dianna Effner Little Darling or Mini Maru smocked dress with slip, furry lined coat and matching beret complete this beautifully made outfit. 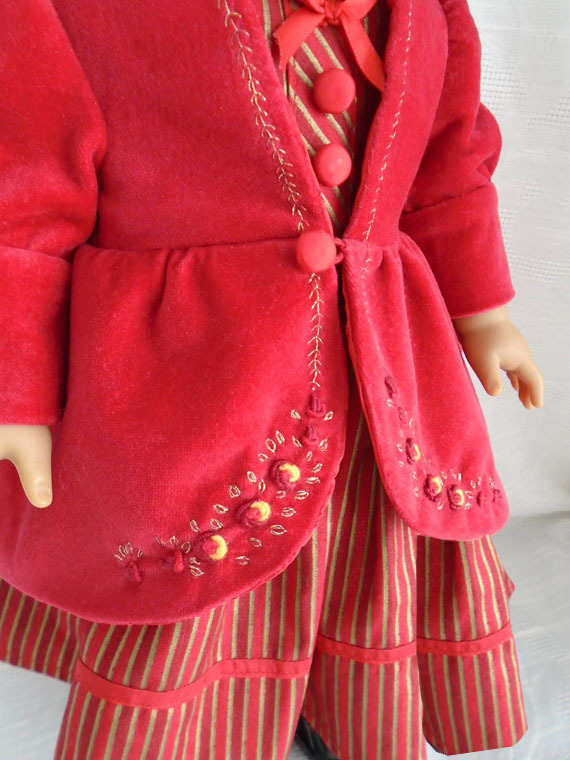 Smocking, red velvet and bullion roses for 18" American girl doll and Wellie Wisher or Hearts 4 Heart dolls. 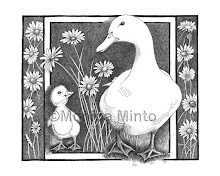 Visit my fine art website. 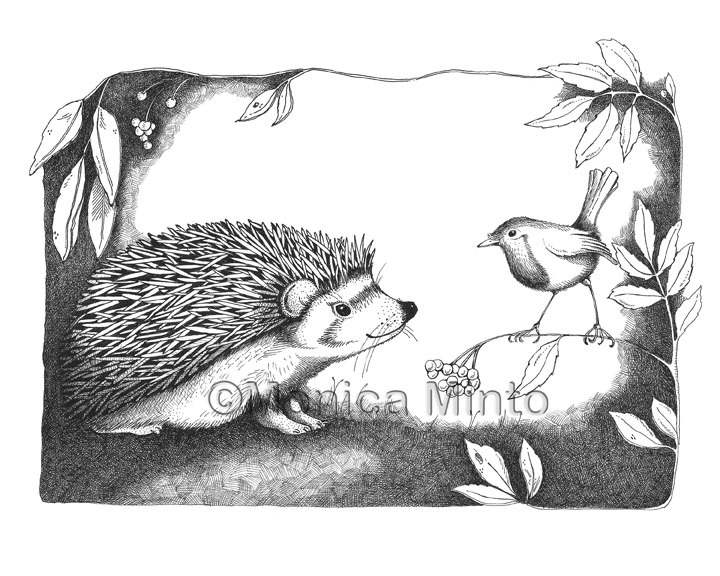 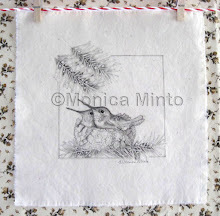 I am a pen & ink artist but I also love working with a needle and thread.